What does Rescu do? Why is it valuable? 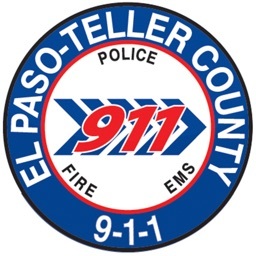 Rescu saves lives and protects property by getting emergency responders where they need to be faster and more reliable than a 9-1-1 call. No talking required! Rescu radically changes the concept of home and personal security. 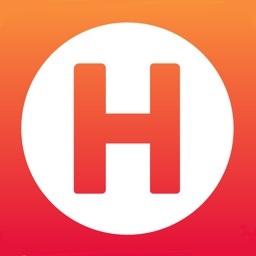 Rescu is the new, faster way to get help in an emergency. 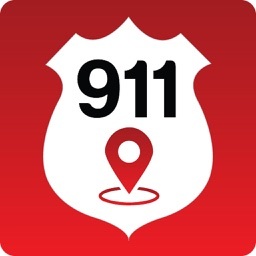 In just two taps, this safety app allows you to completely bypass the often lengthy 9-1-1 routing process and get immediate help from your local first responders. 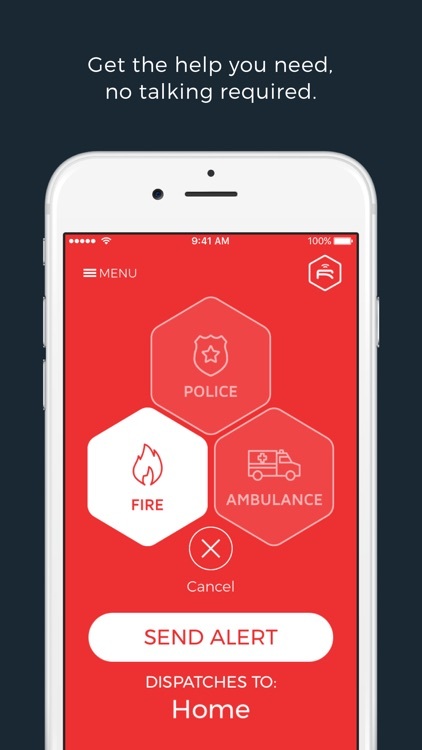 When you sign up with Rescu, you’ll connect Rescu with specific addresses, so when an emergency arises, you can request fire, police, or medical first responders within the app, without waiting to explain your situation or location to a dispatcher. 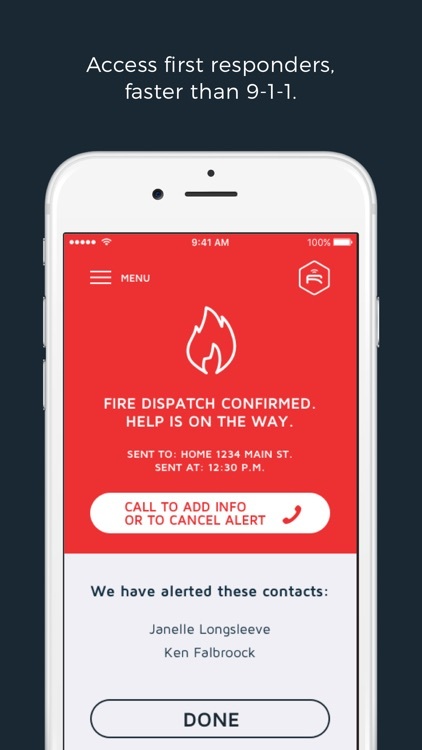 You can send a fire truck, police car, or ambulance to your location in just two taps on your phone, and without any of the call routing of a 9-1-1 phone call. 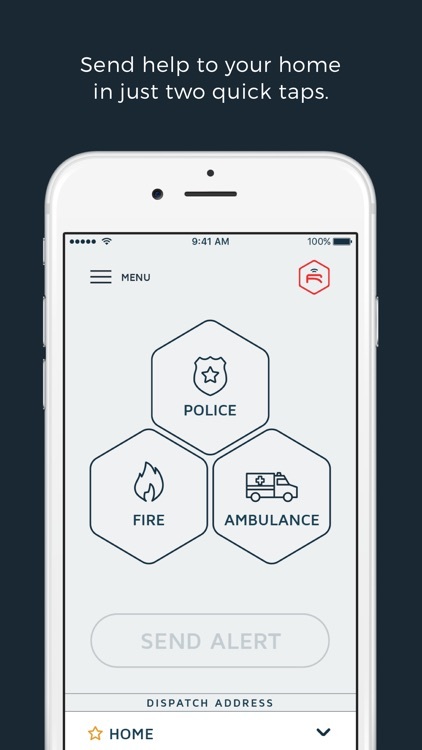 First tap: select the emergency response service. 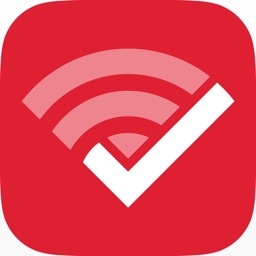 Second tap: confirm and send alert. 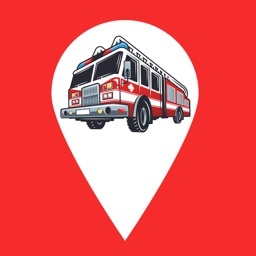 Because Rescu is paired with your saved addresses, it doesn’t rely on GPS to dispatch first responders accurately to your property—meaning you can send help to your home even when you’re not physically there. You can also send help to Mom & Dad’s home or your child’s location. Life safety is two taps away! Rescu is an emergency dispatch app that can either work on its own or with an existing home security system. If your current system is triggered, Rescu enables you to respond and take quick action, getting the help you need faster. 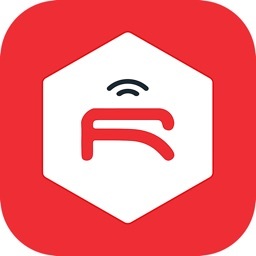 Monitor your home or office yourself; dispatch with Rescu! 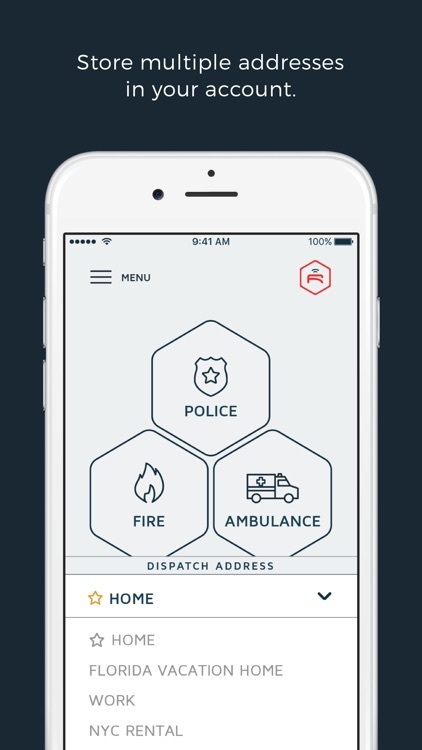 When you dispatch Emergency Responders, your stored emergency contacts will be instantly notified via an automatic SMS text message, allowing you to alert family and friends of your situation. 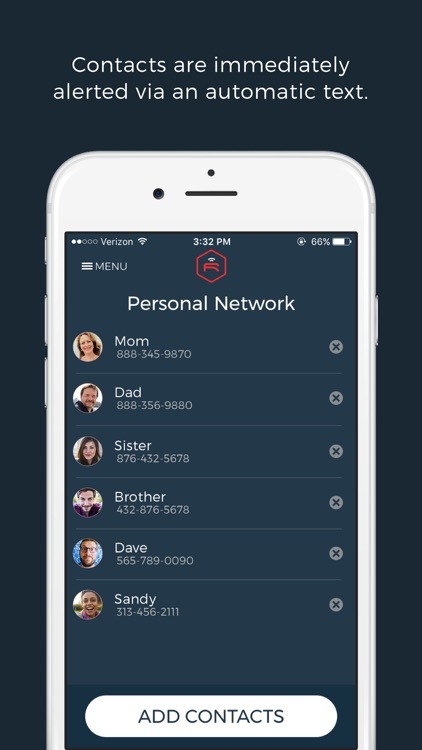 When you subscribe to Rescu, you can use one paid account to protect multiple addresses that can be accessed by different users, allowing you to protect your whole household at the affordable price of $4.99/month (billed annually at $59.88/year) or subscribe to our month-to-month plan at $7.99/month. Additionally, Rescu’s dispatch center is recognized by Underwriter’s Laboratories as the highest classification for safety and security standards which could result in a discount on your homeowner’s insurance policy. If you want to feel in control over your family’s safety, adding enhanced protection to your home, and simply having the peace of mind that you’re READY in case of ANY emergency, then Rescu is the solution for you. Help is always two taps away. No talking required.